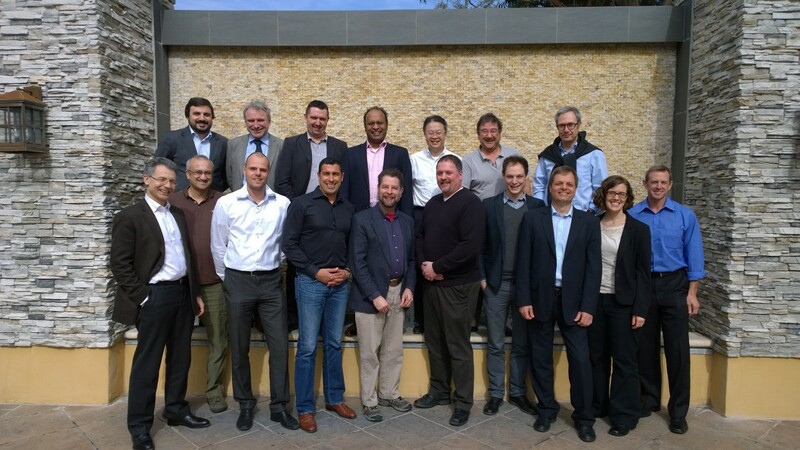 Los Gatos, California, 10 March 2014 – End of February, eMI3, the international electric mobility industry group aimed at accelerating interoperability throughout the electric vehicle market, met in Silicon Valley for its second General Assembly. eMI3’s key objective is to enable global interoperability and efficient implementation via a common interface language between all ICT platforms supporting electric vehicles users and the organizations providing electric mobility services. Officially established in November 2013 at EVS27 in Barcelona as an ERTICO Innovation Platform, eMI3 has attracted more than 35 private and public organizations representative of the global electric mobility market, which work together to create an agile organization. eMI3's works with relevant standards organizations to address electric mobility issues. The National Electrical Manufacturers Association (NEMA) created a division dedicated to these issues and is working actively to drive interoperability in North America. During the General Assembly at ChargePoint’s headquarters in Los Gatos, eMI3 and NEMA agreed to further their ongoing liaison agreement to ensure the best alignment of the two groups’ industry standards work. Since its creation in November, eMI3 has enrolled 35 official members from across the globe. Click here for the full membership list. Although eMI3 intends to facilitate and promote their implementation, eMI3 core objectives lie in the development, publication, sharing and promotion of ICT standards. The long-term objective is promote adoption and involve more organizations, striving to achieve widespread international harmonization and globally accepted and implemented ICT standards for the EV markets. ChargePoint is the largest and most open electric vehicle (EV) charging network in the world, with more than 16,000 charging locations and a 70%+ market share. Ranked #1 by leading independent research firm, Navigant Research, ChargePoint makes advanced hardware and best-in-class cloud based software. ChargePoint’s open network is utilized by many leading EV hardware makers and encourages all EV charging manufacturers to join. ChargePoint’s real-time network information including the availability of charging locations throughout the nation is available through the ChargePoint mobile app, online and via the navigation systems in top-selling EVs including the new BMW i3 and Nissan Leaf. Every 10 seconds, a driver connects to a ChargePoint station and by initiating over 4.1 million charging sessions, ChargePoint drivers have saved over 3.5 million gallons of gasoline, avoided 25 million pounds of CO2 emissions and driven 80 million gas free miles. The ERTICO work programme focuses on initiatives to improve road safety, security and network efficiency whilst taking into account measures to reduce environmental impact. Our vision is of a future transport system working towards zero accidents, zero delays and fully informed people, where services are affordable and seamless, the environment is protected, privacy is respected and security is provided.